Love is finding a product that you can literally do just about anything with…and getting creative with it. I love to come up with new ways to make things when I’m in my kitchen. I love to see just what I can accomplish with what I have on hand. Currently, in my refrigerator, I have two 16 ounce cartons of So Delicious Dairy Free Unsweetened Cultured Coconut Milk. What is cultured coconut milk? Glad you asked. It’s the dairy-free, coconut milk based version of a creamy, dreamy yogurt. Yes…all you dairy-free people who have lamented the loss of yogurt in your diet…welcome to the world of So Delicious and their fantastic coconut milk based yogurts. Also known as…cultured coconut milk. 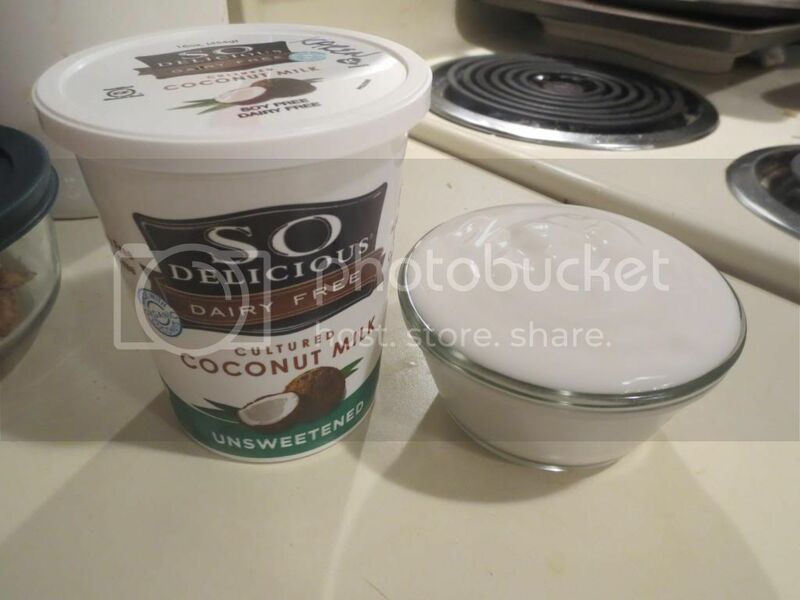 I love that So Delicious has released two new varieties of their cultured coconut milk products. I already reviewed the Unsweetened Vanilla Cultured Coconut Milk…but now it is simply the Unsweetened Cultured Coconut Milk. First of all, as someone trying to keep their sugar intake in check, the unsweetened offering makes me so happy. Even better…it has great texture and good flavor. It actually has a bit of a tang to it, reminding me of a sour cream. And, certainly, this could easily be used in place of sour cream. But…not in my case. I got into my kitchen last night and decided to use some of the So Delicious Dairy Free Unsweetened Cultured Coconut Milk…to make bread. Yep. Bread. 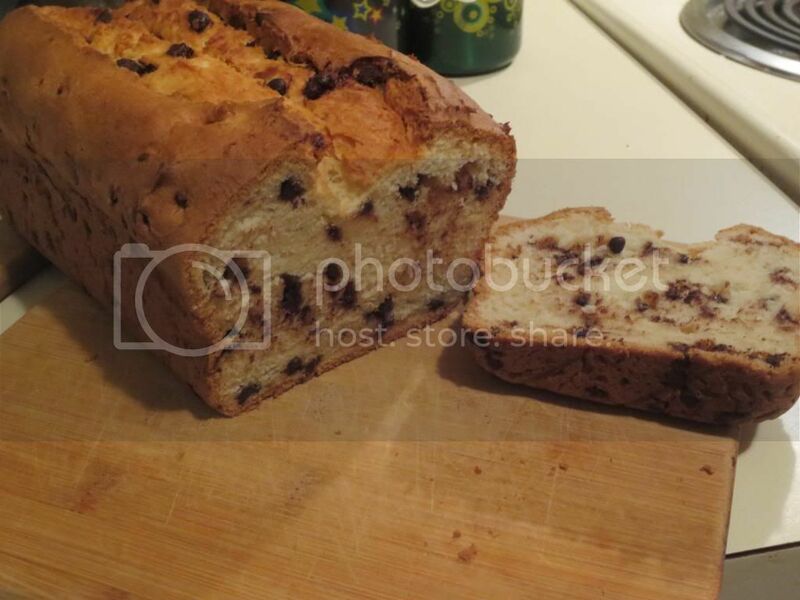 Delicious…dairy free and gluten-free Chocolate Chip Yogurt Bread. Here’s what I found out…my bread cooked up amazing. The Unsweetened Cultured Coconut Milk made this a very light, very moist bread when all was said and done. The best part was how it tasted. Because this also adds flavor without adding more sugar. And that…that is an amazing thing. I love how versatile this product is. It can be used in dressings, breakfast parfaits, smoothies, as a garnish for meals…you name it. And it does it all with style and without upping the sugars you’re consuming. LOVE! A serving of the So Delicious Dairy Free Unsweetened Cultured Coconut Milk is 1/2 cup or 4 ounces. This serving will provide you with 50 calories and 4 grams of fat. You will be provided with 95 mg sodium and 1 gram of sugar. The Unsweetened Cultured Coconut Milk doesn’t provide any protein, but you do get 4 grams of fiber. This product is cholesterol free, gluten-free, vegan, kosher, non-GMO, and made with organic ingredients. I have truly fallen in love with this product. I am so glad I have two containers of it chilling in my fridge. There are tons of other things I want to try this with. But…below, take a look at how amazing my bread baked up using the So Delicious Dairy Free Unsweetened Cultured Coconut Milk. I am beyond impressed. You will be too! This entry was posted in Baked Goods, Bread, Breakfast, Chocolate, Clean Eating, Dessert, Food, Gluten-Free, Products, Review, Snacks, Sweet Stuff, Vegan, Vegetarian, Yogurt by The Celiathlete. Bookmark the permalink. Where did you find the unsweetened?! I can’t find it at any of the stores that carry So Delicious products here. Helen…I have seen it at Target, Walmart, and Kroger around here.